I like to celebrate. I like food and decorations and music and treats. I’ve been known to celebrate because it’s sunny, because I’m in a great mood, because I’m in a terrible mood, because it’s Wednesday. I get especially carried away with celebrating life’s big events. Somewhere in the middle of the night before my daughter’s 1st birthday, while still icing cookies, I started asking myself why I do this. Why do I want to spend 8 hours making treats? Is it because I just love to bake? Because I adore things with a theme? Because I want to post pictures so people will think I’m good at it? I’m sure there’s a bit of those things mixed in, but late that night I realized that at the core it’s because I love to celebrate people. Their uniqueness, their passions, their big day. Growing up, we often had friends in our house. We had a couple of weddings in our backyard, my parents let me invite every friend I knew to my sleepovers and my mom made us fabulous birthday cakes. My favorites include the one that looked like a hamburger and the one with Pete’s Dragon on it. Our parties weren’t magazine worthy affairs, but they taught me that making someone feel special by celebrating them was important. I think that’s why I make elaborate cakes. I remember mine and they made me feel special. I am no professional and my kids are really little, but their birthday cakes are magical to them. My son has been regularly talking about his construction site cake for the past year and a half. I highly value creating a space for people to gather and for making “big days” stand out against other days. But it’s not about cakes or big parties. It’s not about spending money or trying to one-up yourself (or others) each time. It’s not about trying everything you see on Pinterest. Elaborate parties can miss the point completely if the person you’re honoring feels most loved by one-on-one time and simple gestures. Rather than fanciful decorations and handmade cookies, your efforts would be better spent on a thoughtful card and a hike together. It’s about knowing the person and making sacrifices to uplift and enjoy that individual and what is happening in their life. If you’re like Ron Swanson from the show Parks & Recreation, what you really want on your special day is a steak dinner for one, a bottle of scotch and The Bridge on the River Kwai. My 40th birthday this year was full of things that I love. Flowers, family, friends, food, French things (fun, frivolity, etc.) The icing on the cake, was this beauty my husband Brian created for me. Because as you might guess, I really like 3-dimensional cakes. My birthday was also lathered up with meaningful experiences. 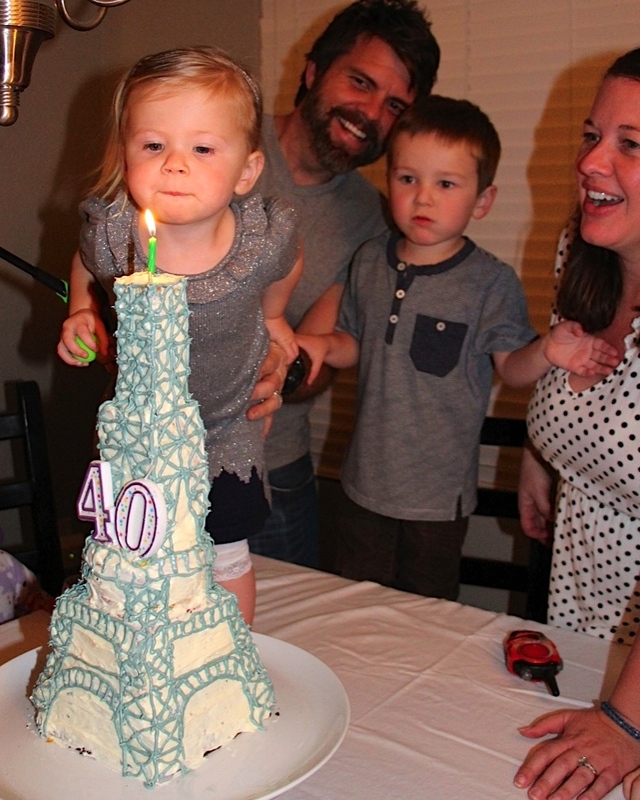 It made turning 40 feel life-giving. It allowed me to appreciate those people who have helped me become who I am. It caused me to think back on my years and evaluate where I had spent my efforts, how I had loved others and whether or not my life has reflected my creator. When we help usher in a new stage of life for friends marrying or having babies, it matters. It helps them practically and emotionally prepare for the chapter ahead. It gives us pause to surround them and pray, to write down hopes and advice and to shower them with beautiful and functional things to fill their homes. I have a specific connection to each item in our house that was a gift. When I wash my baby with that cloth or make waffles in that iron, I think of that friend. If we practice making “big days” special, we might find it more natural to let that seep into our everyday lives. My next post should probably talk about ways to celebrate others well on the days in-between the big ones. I know some excellent celebrators and I’m taking notes. 1. Think carefully about who you’re celebrating and know their love language. 2. Make notes on your phone (or wherever you keep such things) about gift ideas as soon as you see or hear of a good one. Consider choosing lasting gifts (sentimental, homemade, experiences) that often cost less but take more thought and time. 3. When hosting a party or event, make a point to bring the guests together and do/say something meaningful about why you’ve gathered. Pray, share memories, affirm, give words of wisdom, etc. 4. 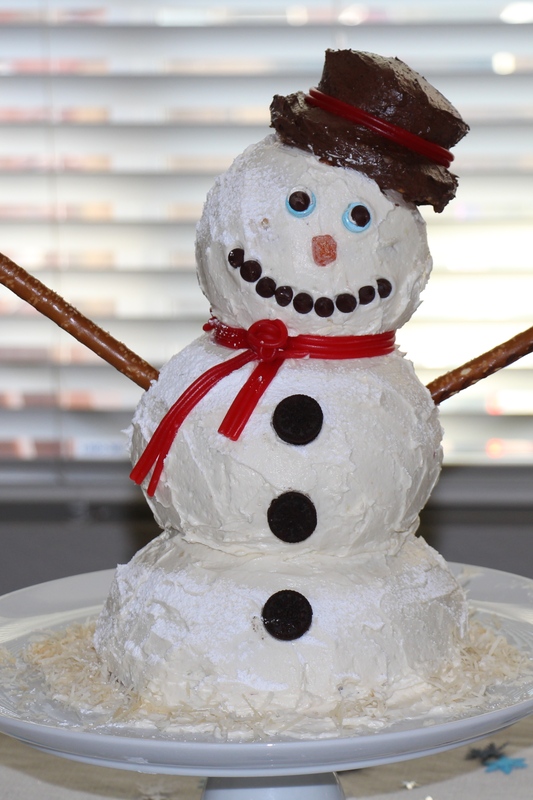 Try to make a fun cake, it’s not as hard as it looks. 5. When sitting around a table for someone’s birthday, ask good questions to focus the conversation. What is your high & low from this past year? What are you excited about for the year to come? 6. Invite others to celebrate with you so that the impact grows exponentially. 7. Bring a card to every celebration. Handwritten cards are a dying art, but they give you the chance to make sure you’ve shared something heartfelt before you leave. 8. Remind yourself that it’s not about spending oodles of money or time. It’s about making someone feel special with how you’ve made them a priority.